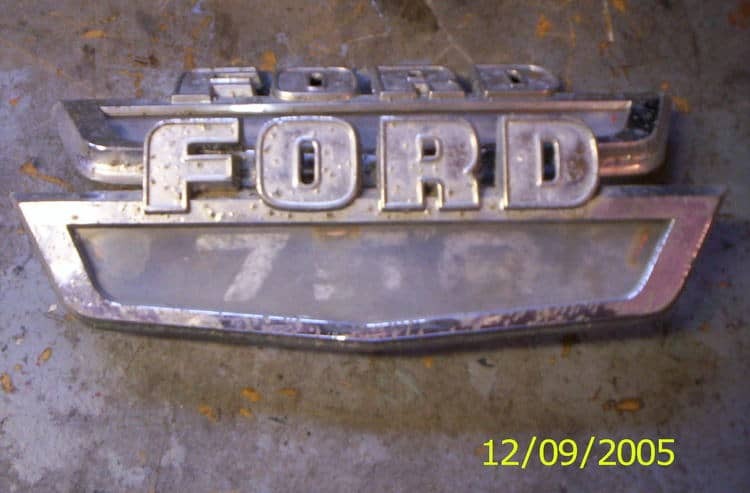 This 1968 Ford N was bought secound hand in Sheboygan Wi. by George Neuber who along with his brother and father operated a carnaval in the state of Wisconsin from the 1950's to this day. The 68 was used to pull a roaller coaster ride for the carnaval. Mr. Heuber tells me that the engine is a 391 C.I. (maybe it was changed) and that it used to be a Clairmont Freight truck. It sat idle for 12 to 15 years until it was purchased by another Chilton resident who lived about two miles away and operated a salvage yard on a part time basis, his name is Glenn Kees and he put the add in "Wheels of Time" magazine.